Ed C (12 Apr 2011) "Re: Kurt "Not so fast""
"Re: Kurt "Not so fast""
Thank you Kurt for your commentary on the Rapture. It is certainly an open door for me to comment on something that has long been inside of me concerning why the Rapture would not be the type of event that would be extremely noticed by those left behind. Here's what I personally believe based on the way the Lord usually deals with me on certain matters. Not through a rhema type word, but rather a knowing...as in I just kind of know it. Doesn't mean I'm right, it just means I'm settled, subject to change upon better evidence. Does that make sense? 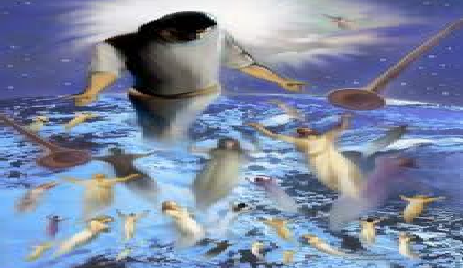 It seems the picture most have of the Rapture presents as 1) Bodies floating up into the sky. 2) Zip bam boom dissapearance. I always come back to "it is appointed once for man to die." In Kurt's examples. Enoch did not die, and Elijah did not die. This is why I believe they will be the two witnesses. Jesus is an exception as he is...Jesus. Long story to explain what i see there, and is off topic. What I envision is based in Paul's statement that the corrubtable must put on incorruptable. At Rapture, our spirit is caught up, snatched away, out of the body. No one will see that cause its spiritual. The body without the life force of the spirit/soul inside, is nothing but dirt, so it falls over dead. This, I believe is what people will see. Everyone raptured falls over dead physically. We haved put off the corruptable. The spirit arrives with Jesus and we get our incorruptable body at some point thereafter. Strong delusion : A missile is fired off the coast of California and is too easily put aside, far too easily, as a contrail from a jetliner and everyone buys that. reasoning. Millions of fish, die. No apprent cause. Birds, crabs, doves, cattle...dying and the news doesn't cover it, except maybe in the town where this occurs. Millions of people drop dead...it won't be any different to the left behind crowd than the fish and the birds. Scoffers will say it was bound to happen eventually, glad it wasn't me. Science will give a wonderful oversimplified absolute lie of an excuse, and the people will believe it just as they have been doing all along. Sure, there will be sadness at the tragedy of all these deaths. People on facebook will comment "prayers with the family" And the Normalcy Bias" kicks in, and in short order, they're back to life as usual. Slightly changed...but on they go, totally oblivious to what REALLY just happened. Our bodies will be changed and not left behind during Rapture. God is not kiling our bodies...HE keeps our bodies just like HE kept JESUS' from corruption. We who are alive will need more time changing into a new body than the dead who has no physical bodies and so Dead Rise faster...First.